Many people know that biotin – vitamin B7 – is one of the key nutrients involved in the maintenance of healthy hair growth. 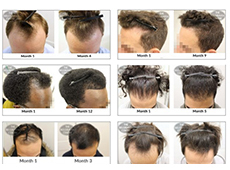 Low levels of biotin have also recently been implicated in the genetic hair loss condition, Male Pattern Baldness. Whilst egg yolks are often cited as a go-to food source for biotin, it is important to be mindful as to how many eggs you consume and how often you eat them. This is mainly due to the amount of cholesterol contained in the yolks. New research published in the Journal of the American Medical Association suggests people should be eating fewer eggs than first thought. This comes at a time where egg consumption has increased due to the food and wellness trend for upping protein intake. Whilst the UK has no recommended daily or weekly limit on eggs, the 2015–2020 Dietary Guidelines for Americans state that dietary cholesterol should be restricted to 300mg/day. In terms of egg yolks, this equates to roughly 1.5 eggs per day, given one large egg contains approximately 200 mg of cholesterol. This latest study into the effects of cholesterol specifically from eggs, and egg yolks, on the potential for heart disease found that consuming 300mg/day of dietary cholesterol resulted in a 17 per cent increase to the risk of developing cardiovascular disease and an 18 per cent higher risk of death in general. For those eating three to four eggs per week, there were links to a 6 per cent increased risk of cardiovascular disease and an 8 per cent risk increase of dying from any cause. One of the study authors, Norinna B. Allen PhD, advised: “Our study showed if two people had exact same diet and the only difference in diet was eggs, then you could directly measure the effect of the egg consumption on heart disease. We found cholesterol, regardless of the source, was associated with an increased risk of heart disease. We want to remind people there is cholesterol in eggs, specifically yolks, and this has a harmful effect”. Almonds – whilst many nuts are a good source of biotin, almonds pack the biggest punch, whether raw, roasted or salted, with 1.5mcg per 32g serving. Avocado – in addition to being a great source of vitamin E, one whole avocado will provide approximately 2 to 6 mcg of biotin, depending on its size. Cauliflower – 128 g / one cup raw cauliflower can provide 4 mcg of biotin, whether eaten as crudities or uncooked cauliflower rice. Liver – a 3 ounce serving of cooked beef liver contains approximately 30mcg of biotin, making it one of the richest food sources available. Nutritional Yeast – also known as ‘nooch’, nutritional yeast is a popular vegan condiment that is a good source of B vitamins, including biotin. Sunflower Seeds – these small but mighty seeds are jammed with nutrients, including magnesium, iron, calcium, zinc and copper, as well as 2.6mcg of biotin per 32 gram portion. Sweet potato – this root vegetable are a good source of vitamin A, potassium and, offer 2.4mcg per 64g serving of biotin when cooked. The recommended daily intake for biotin is 40mcg a day for adults, though several studies have found no adverse effects or symptoms of toxicity occur when taking higher doses. Oregon State University research states that biotin is “well-tolerated” in doses of 200mg per day, and these were not associated with adverse affects, despite being “nearly 7,000 times” the adequate intake. 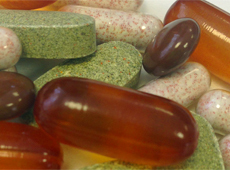 Whilst no substitute for a varied and balanced diet, food supplements can be a convenient top-up. 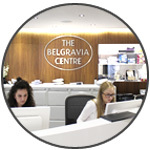 Belgravia hair specialists have developed exclusive, one-a-day Hair Vitalics food supplements in specific Men’s and Women’s formulations, which contain a custom blend of vitamins, minerals, amino acids and botanical extracts – including biotin – to support normal healthy hair growth. 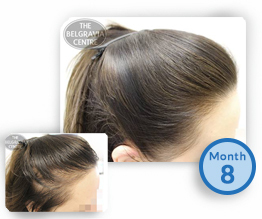 These are one of the products available to non-clients, as well as patients of Belgravia hair loss clinics. According to a market research report regarding the treatment of Tinea Capitis – ringworm of the scalp – this infection is on the rise. 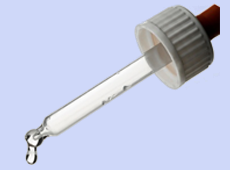 Data provided by the Industry Daily Observer as part of the research report ‘Tinea Capitis Treatment Market – Global Industry Trend Analysis 2013 – 2017 and Forecast 2018 – 2026’ showed the condition is having a global uptick. Luckily, there are various treatment solutions available for this scalp condition, which is often accompanied by areas of hair loss. Tinea capitis generally affects prepubescent children aged between 3 and 10 years old, though it can also affect post-menopausal adults who are caretakers of young children. It is more commonly found in urban areas and displays as rounded scaly, flaking patches of skin with fine hair loss and black dots, which can be hard to spot when mild. It is a fungal or dermatophyte infection which tends to be more prevalent in boys than in girls. There are two key dermatophytes which tend to cause the majority of cases, Microsporum spp. and Trichophyton spp. Whilst Microsporum canis is the most common cause of European cases – particularly in Mediterranean border countries, Trichophyton tonsurans are described as being “highly prevalent” in the UK, reportedly accounting for 50-90 per cent of diagnoses. Microsporum canis is a fungus which can infect the upper layers of the skin of domesticated cats. It can also be found in the skin of dogs and humans; as such, it is largely passed on by animals, especially puppies and kittens. Trichophyton tonsurans is a fungus said in a Pediatric Clinical Advisor report in 2007, to be responsible for 95 per cent of Tinea Capitis cases in North and South America. The new report advises that “ethnicity, social as well as cultural factors are registered to play an important role” in its spreading among black communities across Europe and both North and South America. General factors involved in catching tinea capitis include overcrowding, schools, hairdressing salons and sharing combs. Tinea capitis is usually treated using anti-fungal therapies, whether oral or topical and treatment tends to be fairly short-term – usually daily for a matter of weeks. Some of the more popular options include oral ketoconazole, medicated ketoconazole or selenium sulfide shampoo, and miconazole antifungal cream. The strength and frequency of use will be determined by the professional prescribing treatment, including options which are available over-the-counter, and is based on factors including the child’s age and overall health. 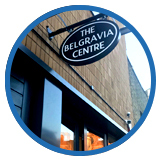 Due to the fact this condition almost exclusively affects young children, Belgravia does not offer treatments for Tinea Capitis. Anyone concerned about this infectious condition should approach their GP or dermatologist for assistance. Football superstar Cristiano Ronaldo has invested in a hair transplant clinic in Spain. When the deal was announced, many European media outlets questioned if it was a a ‘try before you buy’ scenario and whether Cristiano Ronaldo has had a hair transplant himself. After all, at 34 years of age, the Portugal captain is in a prime period for developing Male Pattern Baldness should he have the relevant genetic predisposition. Did Cristiano Ronaldo have a hair transplant? Having maintained an impressive, seemingly thick head of jet black hair with a strong hairline throughout his career, many online hair loss forum users have debated whether the highest European international goalscorer of all-time has been taking steps towards preventing baldness. There are two clinically-proven, MHRA-licensed and FDA-approved Male Pattern Hair Loss Treatments which are both permitted for professional footballers to use, and do not involve taking a surgical approach. These are the one-a-day DHT-blocking tablet, finasteride 1mg, and topical solutions of high strength minoxidil. They inhibit the hormone which causes thinning hair and, often, eventual baldness in affected men, and promote accelerated hair regrowth, respectively. 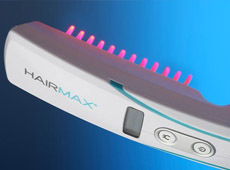 In addition to these medications, additional hair growth supporting products such as FDA-cleared low level laser therapy (LLLT) devices – the home-use LaserComb or LaserBand, for example – and highly-targeted food supplements, like Hair Vitalics for Men, can be used. These can form part of a tailored, fully-rounded approach to preventing hair loss, optimising the hair’s condition and helping men to avoid hair transplant surgery. It may be the case that the player has been using treatments such as these, or boosting his natural hair density with microscopic hair fibres – as his footballing friends David Beckham and Wayne Rooney are rumoured to – but he has neither confirmed nor denied this on-going speculation. Ronaldo – who has previously let slip his knowledge of hair restoration surgery when joking about changes in former Real Madrid goalkeeper, Diego Lopez’s receding hairline – says he wants to help people experiencing hair loss to improve their self-esteem. “Alopecia is a very big problem in Europe and around the world and we want to help people improve their self-esteem and not be ashamed to come to us,” the former Manchester United star said at the clinic’s opening. Hair loss is known to cause a drop in people’s self-confidence so this sentiment is laudable, but Ronaldo’s use of the term ‘alopecia’ appears – not for the first time – to have confused some journalists. The word ‘alopecia’ simply means ‘hair loss’ but does not specify a particular hair loss condition; reporters in publications including Goal.com have confused this with Alopecia Areata, an autoimmune disorder which causes varying amounts of sudden hair fall. It can result in rounded bald spots on the scalp only, all the way through to complete baldness from head to toe. What tends to be meant in reports such as this, and without doubt in the case of Ronaldo’s statement given hair transplants are not suitable treatment for Alopecia Areata, is Androgenetic Alopecia, which is the medical term for Male Pattern Baldness and Female Pattern Hair Loss. Both these hereditary conditions involve permanent, progressive hair thinning affected the area along the top of the scalp from hairline and temples to crown, only. Hopefully, despite the apparent mix-up by reporters, anyone worried about losing their hair should still feel comforted by the footballer’s words which may help to further remove the perceived stigma surrounding dealing with hair loss, even if it doesn’t involve surgery. Scalp injections are all the rage when it comes to treating genetic hair loss, despite the lack of evidence concerning their efficacy as a standalone treatment. From mesotherapy to PRP, both men and women are turning to what many assume to be a ‘quick fix’ hair loss solution, in a bid to combat their thinning hair, even though these purported scalp injections for hair regrowth are required regularly as part of an on-going treatment programme. These minimally invasive therapies are not a ‘one and done’ remedy and many trial results appear to suggest they should be classified as a hair growth support rather than a solo, front-line hair loss treatment. However, due to the rising popularity of injectable treatments for Male Pattern Baldness and Female Pattern Hair Loss, many variations are being explored, the latest of which features cells derived from the patient’s own body fat being injected into their scalps. Colorado, USA-based cellular medicine company, the GID Group first registered its intentions of carrying out a small scale clinical trial investigating a specific, single scalp injection within a six month period, as a treatment for androgenetic alopecia, in December 2015. The aim was to determine whether or not adipose-derived stromal vascular fraction (SVF) injections in patients scalps could stimulate hair regrowth in cases of Male and Female Pattern Baldness. These involved harvesting a small amount of the patient’s body fat (adipose) using liposuction, from which SVF was derived. SVF is known to contain various cell populations. These may have beneficial regenerative properties, which the researchers hoped may stimulate hair regrowth when injected into a 2cm x 2cm area of the trial participants’ scalps. After carrying out a six month trial, comprising just seven participants aged between 18 and 65 years of age – three of whom withdrew from the exercise, leaving four subjects from whom to draw conclusions – the results were published on 21st March 2019. The primary objective was to establish the safety of the treatment by monitoring for any adverse events, whilst the secondary measure was to assess new hair growth by comparing the number of hairs each participant had before and after the trial. The four American participants – two male, two female – who completed the full trial had a mean age of 41 years. Before being administered their treatments, each individual’s level of hair loss was categorised using the Norwood scale for men and the Ludwig scale for women. Information as to how extensive each volunteer’s hairloss was, was not made public, however. No incidences of adverse reactions – side effects, from minimal to serious – were reported during the process. Increased hair density was seen among the participants, with published results stating that all four achieving a mean 31 per cent gain in the number of hairs per square centimetre, when comparing their hair count and hair thickness from before the trial and at six months after the SVF treatment. Whilst this data is certainly encouraging, the fact that only four people took part in the trial means there is not sufficient clinical evidence to make a true evaluation. It is a good starting point for further investigation, with wider-ranging, larger-scale trials likely to give a more thorough picture from which to decipher whether or not this therapy has legs as a potential safe and effective genetic hair loss treatment for both men and women. 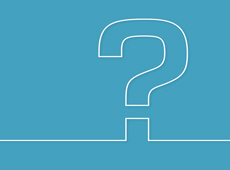 Furthermore, optimal doses, regularity of treatment and the amount of hair loss which it could treat would all need to be established, as well as whether it is best used on its own, or in addition to the existing MHRA-licensed and FDA-approved hair loss treatment options, currently available. For now, anyone wanting to explore options for regrowing hair and preventing baldness is best advised to start by having a consultation with a specialist who can make tailored recommendations based on condition, level and pattern of shedding, as well as the individual’s personal medical requirements. Many of us pay attention to our hair care routine, from how often we wash our hair, to the products we use and being careful to avoid wearing hairstyles that may lead to hair loss too often. One thing that can be neglected, however, is hair tools – particularly your hair dryer. If you aren’t vigilant in practising good hairdryer maintenance, it could be the reason your hair takes longer to dry, or even cause the appearance of thinning hair. Hair dryers vents can easily build up stray dust and shed hairs, especially if hairsprays or other sticky products are used nearby, causing them to become blocked. Clogged vents in hairdryers – especially with older models or more classic designs – can lead to overheating which can cause a number of problems; in particularly bad cases your hair dryer may stop working or you may smell burning whilst using it. Although this is generally due to the debris caught in the vents overheating, the machine itself may well catch fire. Furthermore, in addition to damaging the machine itself, it can also be harmful to your hair as it becomes too hot. As vents become blocked, proper air flow becomes increasingly difficult, causing the temperature of the hair dryer to rise, and hair drying times to become longer due to the machine’s hindered efficacy. Heat damaged hair can become weak and brittle; this can then result in split ends, or snap along the shaft which can make the hair look thin and limp. This is known as hair breakage. To prevent hair breakage and issues with your dryer, clean out the air vents regularly so that build-up is minimised. Also, ensure you use the medium heat setting on your hair dryer to reduce the risk of heat damage, especially if you blow dry your hair regularly. Hair breakage affects the lengths of the hair, not the follicles. As such, this is considered hair damage rather than a hair loss condition. Therefore, if you have damaged hair, a trip to the hairdresser or barber should be sufficient to help you restore heat damaged hair. A haircut and regular nourishing hair treatments, such as conditioning masks to strengthen and hydrate the hair, should have your hair looking and feeling better fairly quickly. You can also ensure your hair has a good source of key nutrients needed for healthy hair growth – these include biotin, selenium and zinc. Whilst not intended to replace a balanced diet, these crucial ingredients, and many more vitamins, minerals, amino acids and botanicals can be found in Belgravia’s exclusive Hair Vitalics food supplement. If the breakage is extensive or accompanied by sudden or excessive shedding or obvious hair loss, a consultation at a dedicated hair loss clinic is advisable. 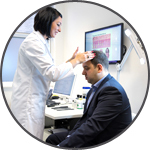 That way, a specialist can assess your scalp – either in person or using photos uploaded to an online consultation form – and provide you with both a diagnosis and, where appropriate, hair loss treatment recommendations, based on their findings. Whichever route you take, the first step is to stop using any heat-styling tools – such as your hair dryer, hair straighteners (flat irons), curling tongs or even heated hair brushes – and let your hair dry naturally whilst it recovers.